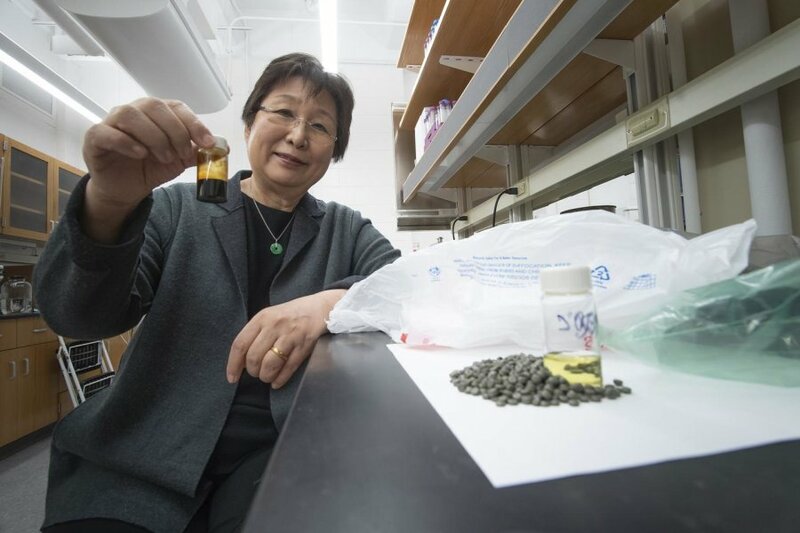 12 Feb 2019 --- A new chemical conversion process developed at Purdue University, Indiana, US, could transform the world’s polyolefin waste – a form of plastic – into useful products, such as clean fuels, pure polymers and naphtha. The researchers believe that the technology could boost recycling profits while shrinking the world’s plastic waste stock. The conversion process incorporates selective extraction and hydrothermal liquefaction. Once the plastic is converted into naphtha, it can be used as a feedstock for other chemicals or further separated into specialty solvents. The inventors of the technology became inspired to create it after reading about the plastic waste pollution of the environment. Of all the plastics produced over the past 65 years, which amounts to 8.3 billion tons, about 12 percent have been incinerated and only 9 percent have been recycled. The remaining 79 percent have gone into landfills or the oceans. The World Economic Forum predicts that by 2050, the world’s oceans will hold more plastic waste than fish, if waste continues to be dumped into large bodies of water. Wang, Kai Jin, a graduate student, and Wan-Ting (Grace) Chen, a postdoctoral researcher at Purdue, are the inventors of the technology, which they say can convert over 90 percent of polyolefin waste into different products. In theory, the clean fuels derived from the polyolefin waste generated each year could satisfy 4 percent of the annual demand for gasoline or diesel fuels. “Plastic waste disposal, whether recycled or thrown away, does not mean the end of the story,” says Wang. “These plastics degrade slowly and release toxic microplastics and chemicals into the land and the water. This is a catastrophe, because once these pollutants are in the oceans, they are impossible to retrieve completely,” she stresses. Wang hopes her technology will stimulate the recycling industry to reduce the rapidly rising amount of plastic waste. She and her team are also looking for investors or partners to assist with demonstrating this technology at a commercial scale. Wang’s technology is patented through the Purdue Research Foundation's Office of Technology Commercialization. “We have great success for converting polyolefin waste. Further research is still needed to produce higher quality products with lower processing costs. Testing this technology at a pilot scale will motivate industry to commercialize it,” Wang explains. The industry is seeing on-going innovation in the space of plastic waste recycling. VTT Technical Research Centre of Finland, for example, has developed the first prototype of a cylindrical extruder which has shown promise in “revolutionizing the processing of recyclable materials.” The extruder can be used, for example, to turn problematic textiles, plastics and food waste into pellets. 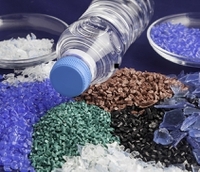 Meanwhile, Dutch company Ioniqa Technologies has a proprietary technology which can reportedly turn colored and hard-to-recycle PET plastics into transparent, virgin-grade material. Announced late last year, The Coca-Cola Company is extending a loan to the company to accelerate the development and deployment of high-grade recycled content PET for use in Coca-Cola bottles. Loop Industries has also emerged with “truly transformational” technology that allows no and low-value plastics to be diverted, recovered and recycled endlessly into new, virgin-quality Loop PET. This innovation allows plastic bottles and packaging of any color, transparency or condition, carpet, clothing and other polyester textiles that may contain colors, dyes or additives, and even ocean plastics that have been degraded by sun and salt to meet FDA requirements for use in food-grade packaging. In October 2018, PepsiCo entered into a multi-year agreement with Loop in order to facilitate increased access to high-quality recycled plastics across its US production.